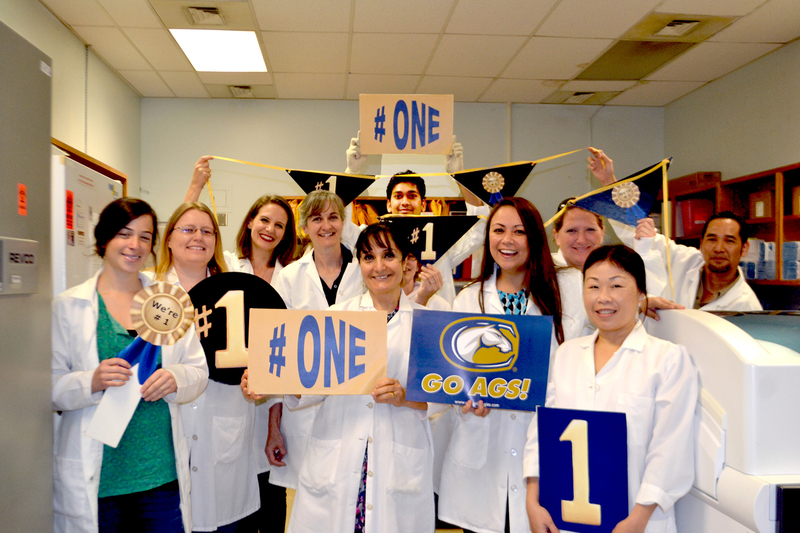 With the announcement today that our school has been ranked for the second straight year as #1 in veterinary science in the latest QS World University Rankings, we celebrate our success and envision the future. This latest ranking is a tribute to our people and programs and is a well-deserved recognition of their dedication to provide innovative and compassionate clinical care, make ground-breaking discoveries, and educate the next generation of leaders in veterinary medicine. 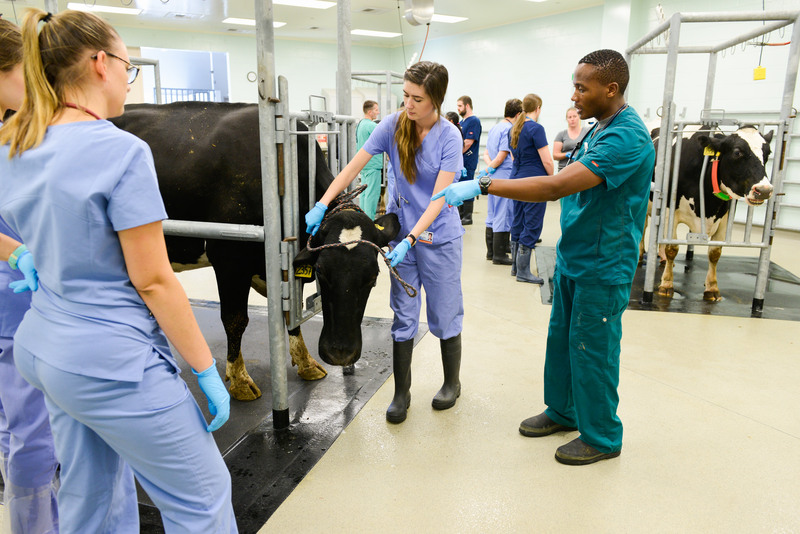 This achievement would not be possible without the commitment of our supportive university collaborators and administrators, alumni, community volunteers, and philanthropic partners who have invested their time and resources into making us the best-in-class among veterinary institutions. Founded upon a principal that we will discover new knowledge to advance the health of animals, people, and the environment, this past year we continued to lead the nation in total research funding among veterinary colleges and schools. Our clinical programs treated more than 50,000 animal patients last year, while raising the standards of care for animals through an ever-expanding clinical trials program. 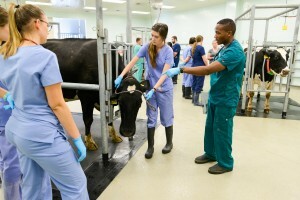 Educating the next generation of leaders in veterinary medicine, research, and public service, we annually train more than 550 DVM students with a curriculum built on modern adult-learning theory that is designed and delivered by acclaimed faculty and staff members. Our specialty training programs consistently produce leaders that set the standard in veterinary specialty practice. Our graduate students and postdoctoral scientists create new scientific knowledge that changes existing paradigms and challenges existing scientific thinking while opening new worlds of discovery. 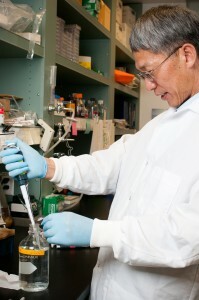 Our research and service programs extend throughout California and around the world. Our clinicians and scientists work collaboratively across disciplines to advance both human and animal health in subjects ranging from cancer to environmental toxicology. While we rejoice, we must not become complacent. We have much left to achieve if we to accomplish our strategic goals and keep our preeminent position. Our many challenges are a reflection of those faced in higher education and in our society. We are confronted by the constant challenge of balancing our resources from the State of California, while seeking new partnerships that help us invest in our amazing programs. We must use novel ways to bridge across disciplines to expand career opportunities for our students and to build teams that create new ways to understand our world and gleam new discoveries from the massive amounts of data that surrounds us. Our efforts to become a more diversified, dynamic, and inclusive community must not waiver if we are to grow stronger in facing the future. Our researchers’ work is to understand how life works, but they will need to constantly seek new ways to approach their science if they are to find solutions that address societal needs. We live during a time of human-made influences that have altered our planet in unprecedented ways, creating new paradigms for how we must restore our environment and learn how to be better stewards of our natural resources to improve the lives of animals and people. Thus, while we take a moment to celebrate, we must embrace the same values and principles that brought us to this moment in time, as we prepare for the future and what lies ahead.